How is it that Bachelor in Paradise hasn’t even started yet, and there’s already drama between (potential) cast members? Oh, who are we kidding? Bachelor Nation lives and dies by its drama. But in the case of exes (and possibly a new couple once again?) 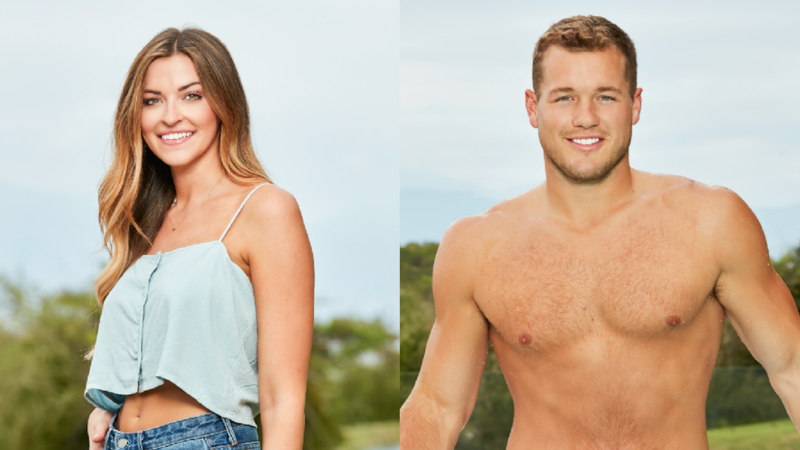 Tia Booth and Colton Underwood, we’re just about over it. And, since “it” technically isn’t even a thing yet, this might be one long, soapy season in Paradise. Suddenly, we’re having flashbacks to Ashley Iaconetti’s disastrous attempt to rewin Jared Haibon’s affection during their ill-fated stint in Paradise together. It’s not that we have anything against Booth or Underwood, per se. However, there is such a thing as overexposure. Fans first met Booth at the same time we met current Bachelorette Becca Kufrin when both women were vying for Arie Luyendyk Jr.’s heart on his season of The Bachelor. It wasn’t until after Luyendyk's season, though, that Booth met Underwood — a former NFL tight end from Arkansas — and the two began dating. But this is Bachelor Nation, y’all. Of course Underwood would try out for Kufrin’s season of The Bachelorette after he and Booth broke up. This made for a built-in ratings boost for Kufrin since Booth made surprise cameos to discuss the status of her feelings. And so, months prior to the new Bachelor in Paradise, the saga of Booth and Underwood began. First, Booth claimed she was totally over Underwood. "Go for it," she said! "It’ll be fine," she said! Fast forward to Kufrin’s July 16 episode when Booth confessed that she was still carrying a torch for Underwood. “When I think about Colton being at this point now, it makes me sick at my stomach… Knowing that you got to meet his family and knowing that he’s still here in this makes me sick,” Booth admitted to Kufrin. Does this seem like a whole lot of back-and-forth for two people who aren’t even on the show yet? Yeah, we think so too. Alas, who are we to deprive Chris Harrison of yet another opportunity to declare a season “the most dramatic ever”? Booth and Underwood have all the trappings of a successful reality TV relationship — and by successful, we clearly mean tumultuous and full of cliffhanger-inducing drama. This will undoubtedly prove to be true if Booth follows the advice given to her by her BFF and a former BiP alum, Raven Gates. “Raven told me to just be completely open-minded because she did not expect to fall for Adam [Gottschalk]. She didn’t really know anything about him and she wasn’t going into it with anyone in mind. She just told me to go into it, like I’ve said, with a positive outlook, knowing that it’s going to be a great summer and to go on dates with people,” Booth revealed. In fact, judging by the new BiP season promo, that advice leads Booth right into a love triangle between her, Underwood and another Bachelorette alum, Chris Randone. But hey, Iaconetti and Haibon met their BiP doom due to a messy love triangle (sorry 'bout your luck, Caila Quinn), and they’re engaged now. So you never know — Booth could wind up with a ring on her finger yet. In which case, we'll all surely hear about it… a lot.